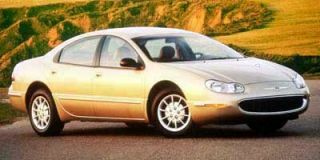 COCONUT GROVE, Fla. — In the southern reaches of Florida, where palm trees and towering condominiums contend for space on sunny Atlantic beaches, Ford's most popular car label is not the national best-selling midsize Taurus, but a full-size sedan with an anachronistically regal name. 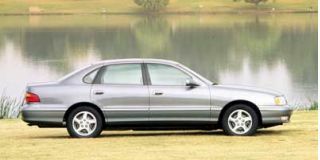 With its rear-wheel driveline and a spacious interior that seats up to six in comfort, Ford’s Crown Victoria scores with Florida's dominant age group, those plus-50 folks whose preferences in automobiles tend toward affordable value with lots of room for both cabin and trunk and grandkids. Riding on a platform that traces back to 1979, the Crown Victoria still sells well enough to merit its continuance in Ford's line; among law enforcement agencies, it's the top choice in police cruisers, and among folks who still want domestic rear-wheel drive, it’s the least expensive full-size on the market. This year it’s been spruced up again to reduce production costs and to keep its aging buyers happy. This latest Crown Victoria actually adds cabin space through a subtle reshaping of interior bits and by adopting the twin Mercury Grand Marquis’ more formal roofline. It also adopts some of the Lincoln Town Car’s platform hardware. 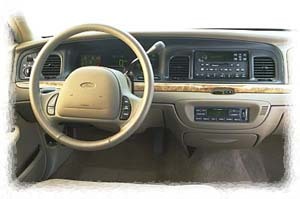 The Crown Vic’s interior can be swaddled in leather and equipped to the hilt with luxury features. The latest Crown Victoria also looks modern, even sophisticated, with an exterior scheme which projects a bold front hood with softly rounded edges and bright chrome grille. Shapely side panels feature an interesting flat shoulder stretched below windows to create shiny reflective surfaces in contrast against multiple body curves. In back, the broad decklid conceals a humongous trunk. It pitches more than 20 cubic feet of storage space in a deep-well design that can accommodate a lot of luggage — or more than one set of golf clubs. 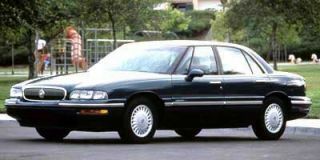 That interior seems cavernous, too: With standard seating for six on front and rear benches, the Crown Victoria provides super-size dimensions in height and width and length, which becomes particularly apparent in passenger space for legs and heads and shoulders. And yet, while the Crown Victoria is big, it doesn't feel so big when maneuvering in traffic, thanks in part to a stiffer structure and rear suspension elements that control the chassis and ease the ride. Except for the revised exterior styling, Crown Victoria's most significant changes take place under the skin, where new suspension components and steel structure enable this version to behave with strength and agility. The frame, with steel front rails plus cross bracing and rear reinforcements, sees its lateral stiffness increased fourfold. The strength creates a stable foundation for mounting the new rear suspension system. With multiple rear links, this device reduces lateral sway in the vehicle and maintains a secure stance when cornering, but it also decreases dive and squat tendencies when accelerating or braking. 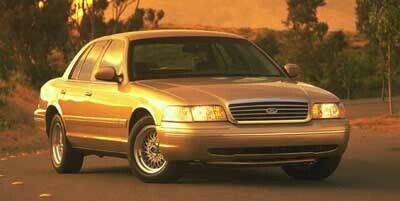 As a result, there's virtually no evidence of the former Crown Victoria's tendency to wiggle at the rear. "No longer does the tail wag the dog," proclaimed Phil Martens, chief program engineer for Crown Victoria, in describing the responsive handling characteristics. Driving experience, covering boulevards and freeways stretched from Miami Beach and across Biscayne Bay to the mainland at Coconut Grove, showed tractable movement, even at higher speeds. For steering, the Crown Victoria retains a recirculating-ball mechanism with power boost because the system translates less road shock to steering wheel and imparts a more luxurious feel to the driver. Big disc brakes on the Crown Victoria, as connected to a computerized anti-lock system plus optional anti-slip traction stability, also improve driver control. There's ample power underfoot, too, due to the Crown Vic's V-8 engine. The 4.6-liter Ford engine, with overhead-cam configuration, produces 200 horsepower in standard form or 215 hp when combined with an optional handling package. To boost the power, the handling package provides freer-flowing exhaust with twin exhaust ports, and performance tires and thicker stabilizer bars to generate a firmer ride quality and crisper cornering. Air-cushioned springs automatically level the car's load for a flattened stance when in motion. A smooth four-speed automatic transmission, dependent on electronic controls, tames this powertrain. The shifter adds a high-gear lockout switch, set in the tip of a column-mounted shift lever, which allows driver to downshift with only a tap from his or her forefinger. 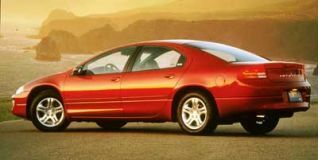 Both trim levels — Crown Victoria and upgraded LX — use the same ratios for gears and rear axle, although with the handling package, a quicker axle ratio (3.27:1) is included. Slip inside the Crown Victoria, and you’ll discover the passenger compartment has been completely revamped. The standard seating arrangement offers two three-person benches, with a front-seat split and a fold-down armrest. In the rear, the three-person bench carves out twin outboard stations and adds a center fold-down armrest. 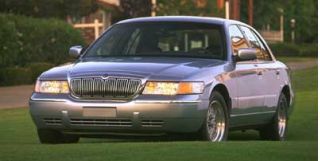 A long list of standard equipment on Crown Victoria begins with air conditioning and goes on to include power windows, door locks and exterior mirrors, plus an AM/FM stereo sound package, tilting steering wheel, intermittent front wipers and rear-window defogger. The LX edition installs a power driver's seat and more convenience perks, while the many options packages add on more niceties like leather upholstery and keyless remote entry. One of the best assets of Ford's big car may be found on the bottom line, as pricing begins at $21,905, with LX pegged at $23,925, including dealer delivery fee.